It seems every chef from Eleven Madison Park’s Daniel Humm on down the line is opening a casual cousin to their flagship superstar. For Gabriel Rucker, winner of the 2011 James Beard Award for Rising Star Chef, the adventurous French cuisine at his Le Pigeon is complemented by the more familiar flavors of Little Bird, a casual French bistro in downtown Portland serving beautifully executed takes on classic dishes like roasted chicken, braised meat and grilled seafood. While Rucker’s first restaurant has been lavishly praised, attention seems to be turning now towards Little Bird, which was honored in June by Portland’s newspaper The Oregonian as Restaurant of the Year (an honor Le Pigeon received in 2008). Nothing from Chef Erik Van Kley’s kitchen disappointed, although we had our favorites. 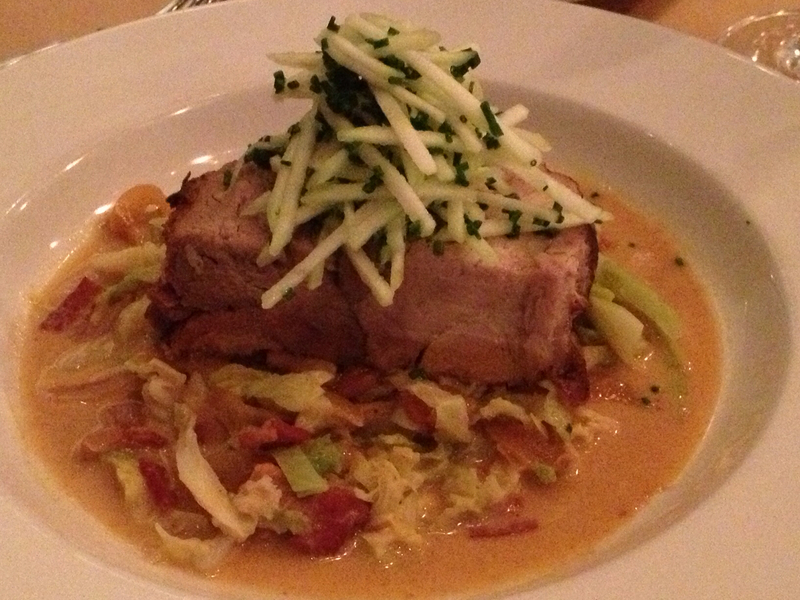 Topping the list was the melt-in-your-mouth tender braised pork shoulder with cabbage, bacon, apple and chives. A salmon special featured two takes on each key ingredient: salmon both lightly grilled and tartare, whole peas along with pea shoots and cremini mushrooms and, lacing the tartare, truffles. Soup du jour may not seem like the most exciting menu option, but a recent cauliflower soup was divine, featuring sweet and savory roasted and pureed cauliflower topped with tender strings of apple. A salad’s bitter greens are coated with zippy dressings and enhanced with sweet mix-ins, such as the butter lettuce salad with watermelon, cucumber and yogurt-feta dressing. Dessert was just as impressive. 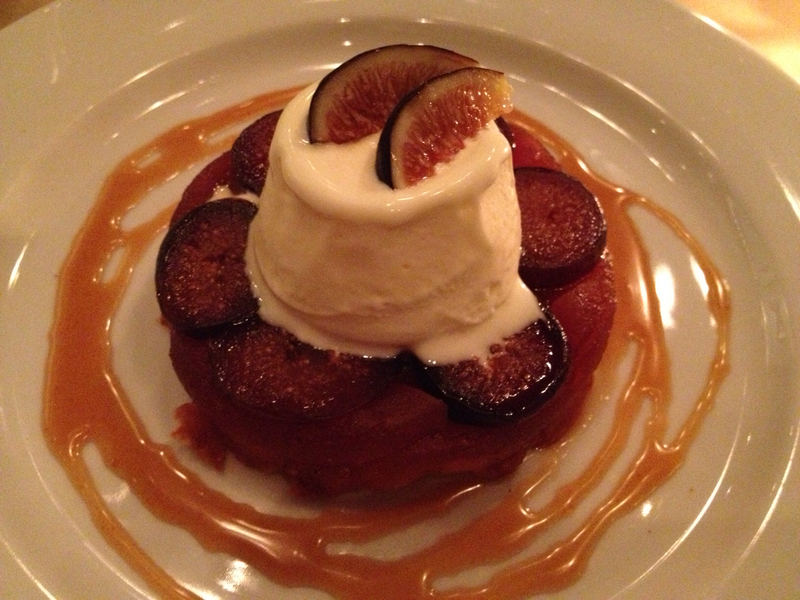 Pastry Chef Nora Antene’s apple and fig tarte tatin with frozen yogurt was a sensation. The buttery pastry comes glazed with caramel, always a crowd-pleaser, but two preparations of figs--a gastrique and fresh slices--dominate the dish. The service was prompt and efficient, but it’s the memory of the good food that lingers. The way it should be. Little Bird. 219 SW 6th Avenue (at Oak Street), Portland, Ore. (downtown). (503) 688-5952. Reservations: Open Table. Nicely written review! I'm glad I had the good sense to order the pork shoulder. Man, was that ever good! Yeah, me too. That was amazing.